Inventory We are a resale marketplace, not a box office or venue. Ticket prices may exceed face value. This site is not owned by Legacy Arena . The Birmingham Jefferson Convention Complex BJCC is a sports, convention and entertainment complex located in Birmingham, Alabama. It consists of a 17,000 seat arena, a 3,000 seat concert hall, a 220,000 square foot exhibition hall, a 1,000 seat theater and various banquet and meeting rooms and other facilities. 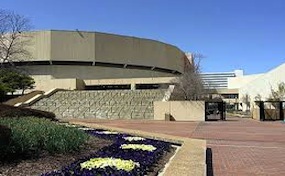 The Legacy Arena at the BJCC is the premier venue for all the biggest concerts and traveling family shows. ArenaBirmingham.com is not affiliated with any primary box office or supplier. We are a privately owned and operated business specializing in sales in the secondary market. To buy tickets for any Legacy Arena events in Birmingham simply click on the event of interest or call our operators at anytime.